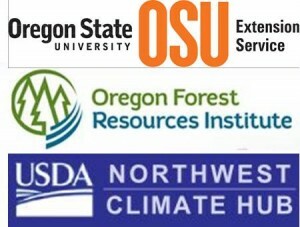 How has the climate changed in Oregon? What are anticipated future changes? How might this affect forest management decisions? After studying recent temperature records, I found that there has been a slight warming trend in my area of northwest Oregon (~0.5 o F over 30 years, Oregon Climate Service), relatively minor compared to the increases of 4-5 o F at higher latitudes in Canada and Alaska (see map below). Global circulation of ocean and air currents and the position of the jet stream produce very different effects in Oregon vs Alaska. Looking closer at Oregon’s climate, it is easy to see how longer-term trends in temperature change get lost in the far greater year-to-year variability. A major driver of climate variability in Oregon is the El Niño/Southern Oscillation (ENSO), a shifting pattern of sea surface temperatures and prevailing winds in the equatorial Pacific Ocean. The warm phase – El Nino – tends to produce warmer, milder winter conditions in Oregon. 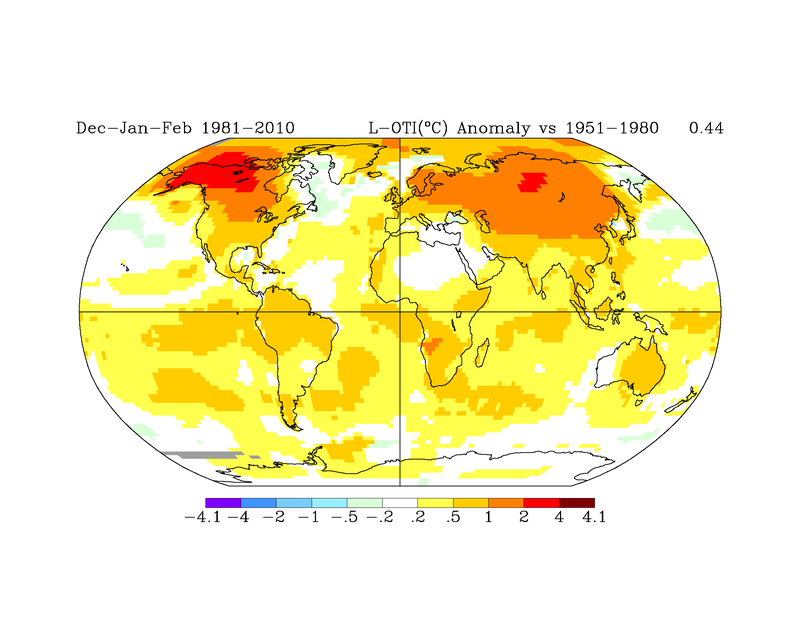 The cool phase – La Nina – tends to produce cooler, wetter winter conditions. Each phase typically lasts 6 to 18 months. 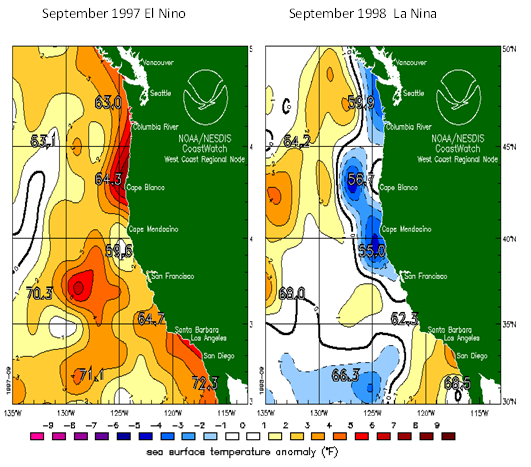 Year to year differences in Oregon temperatures can swing several degrees between El Nino and La Nina (see map below). So far, scientists don’t see any trends or have any predictions on how these are changing. The shifting ocean temperature pattern from the El Nino Southern Oscillation is a major cause of climate variability in Oregon, causing differences of several degrees between warm phase and cool phase. Source: National Oceanic and Atmospheric Administration (NOAA), National Environmental Satellite, Data, and Information Service (NESDIS), CoastWatch program. Another source of climate variability in Oregon is the Pacific Decadal Oscillation (PDO) related to shifts in ocean temperature and wind patterns, causing major shifts in temperature on a 20-30 year cycle. The rather dramatic warming in Alaska corresponds closely to a warm phase of the PDO from 1977 to 1998. Pacific climate trends since 1999 suggest we may now be entering a cool phase, but the PDO pattern and any trends are poorly understood. Once the weather comes in off the ocean or wherever else, the influence of local topography is another puzzle to ponder. 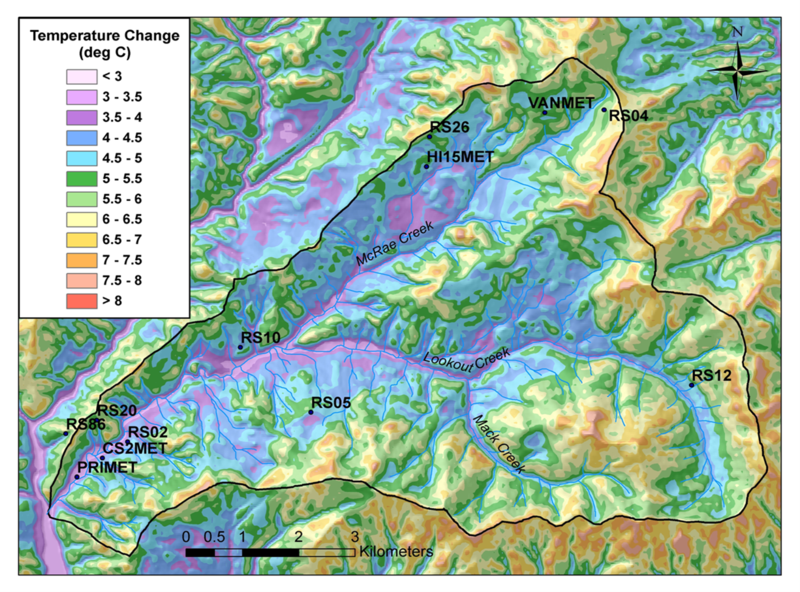 Studies of local climate patterns in relation to topography reveal big differences in how regional climate is expressed up on the hill versus down in the valley. For example, in the western Cascades, temperatures in mountain valleys often stay cooler than up on the slopes. Scientists predict that these mountain valleys will also be less affected by overall warming trends in the future. In this case, increases in drought and heat stress due to climate change would be a greater concern on the upper slopes than down in the valley. What does this all mean for my trees in the foothills of the western Cascades? Like farmers and foresters everywhere, I have to proceed with management decisions using my best guess on both the short-term weather and the longer-term climate outlook. To inform my best guess, I found it most useful – and interesting – to study local climatology and the factors shaping weather patterns where I live and work. Then, if I start thinking about possible climatic changes, I have an idea of what to watch for in assessing future impacts on my trees. For instance, recent studies of Swiss Needle Cast (SNC) disease of Douglas-fir, a severe problem in the Oregon Coast Range, show that needle cast thrives with a combination of warm winters followed by moist spring weather during budbreak, the “infection season” in May and June. 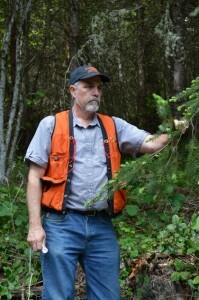 This happens so often in the coast range that some foresters are planting hemlock instead of Douglas-fir. After seeing what appears to be increasing SNC in the Cascades foothills, I am going to keep track of winter and spring weather trends and needle cast symptoms and see how I feel about needle cast after a few more years. Will spring weather favor Swiss Needle Cast? 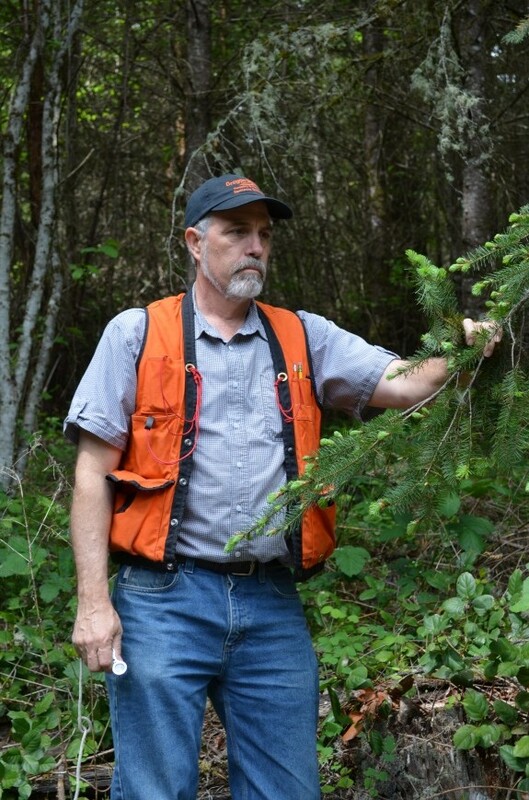 OSU Extension Forester Glenn Ahrens looks for SNC on Douglas-fir in foothills of west Cascades near Molalla, OR.